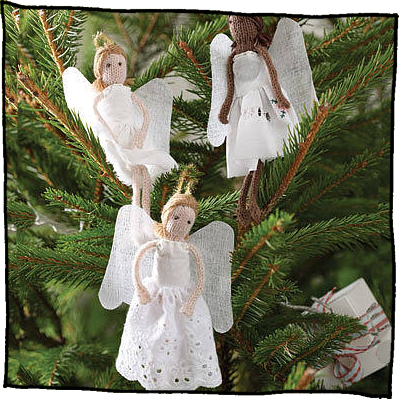 With delicate gauzy wings and a hand stitched white vintage gown, let these delightful handmade Angels alight on your tree this Christmas. With their soft, hand knitted bodies and miniature tinsel halos, they make the perfect gift for little girls – both young and old! The Angels are available in either pink or brown wool bodies. Each doll is beautifully packaged in a gift box.